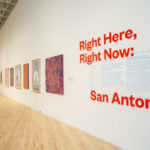 The third iteration of CAMH’s Right Here, Right Now series focuses on 19 artists and artist collectives living and working in San Antonio, Texas. 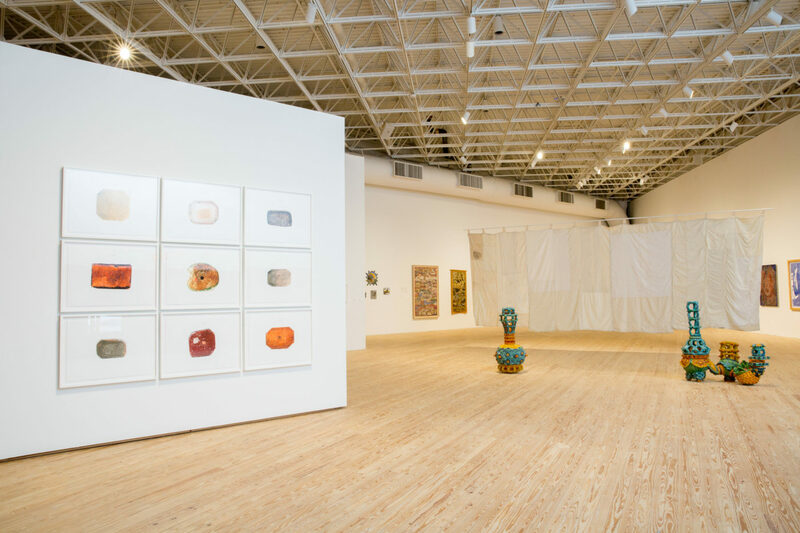 The first two exhibitions in CAMH’s Right Here, Right Now series resulted in solo projects by CAMH’s curatorial staff with the Houston-based artists Debra Barrera, Amy Blakemore, Thedra Cullar-Ledford, Nathaniel Donnett, Susie Rosmarin, and Carrie Schneider. 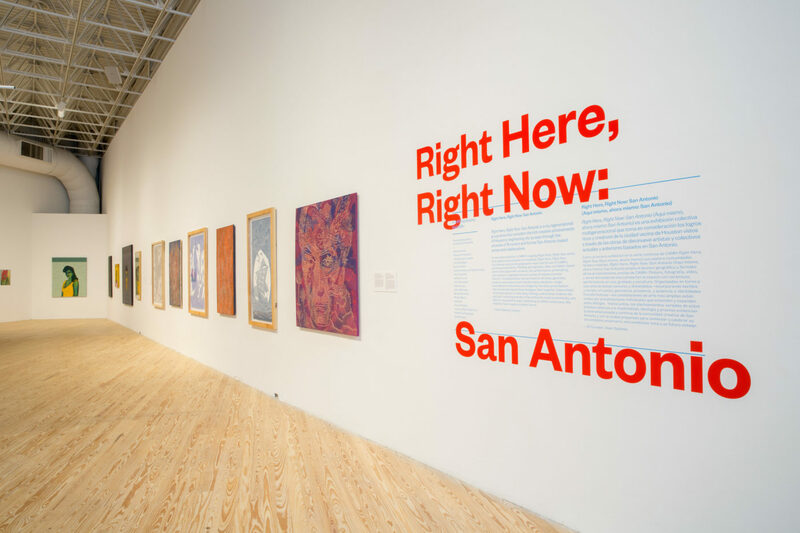 Now, CAMH is pleased to announce the next project in this ongoing series, Right Here, Right Now: San Antonio. 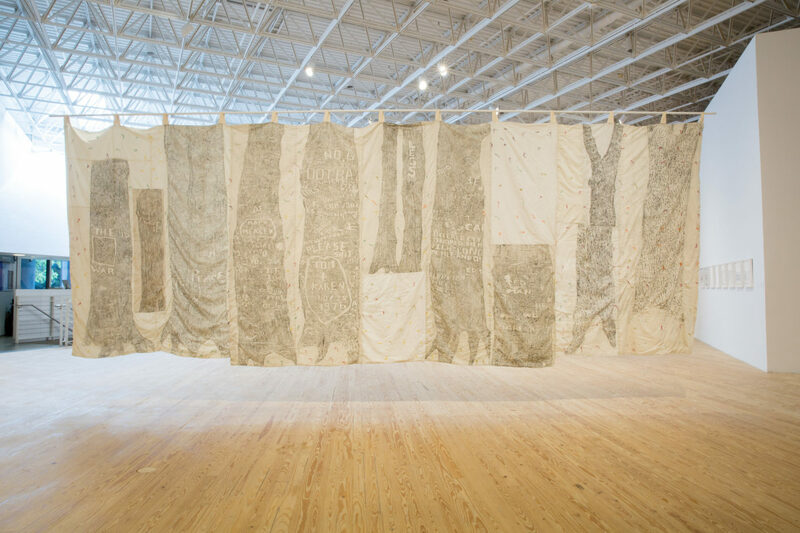 With 19 artists and artist collaboratives, this exhibition—organized by Curator Dean Daderko with Exhibitions Manager and Assistant Curator Patricia Restrepo—includes sculpture, painting, photography, drawing, ceramics, textiles, performance, and installation by a multi-generational cohort of artists. 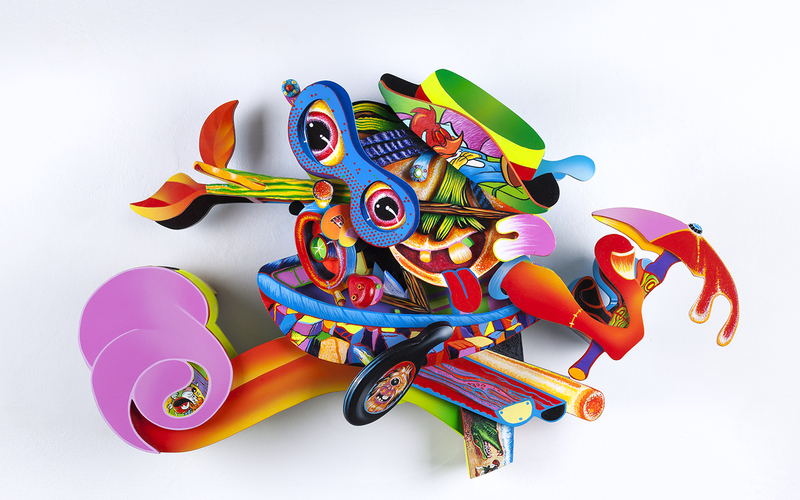 The artworks brought together in Right Here, Right Now: San Antonio attests to the richness of the city’s creative community. 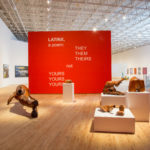 Rather than attempting to provide a generalized, lay-of-the-land exhibition—which is a fraught notion—Right Here, Right Now: San Antonio instead looks to the rich dialogues that are possible when extraordinary artworks are brought together in constellation. 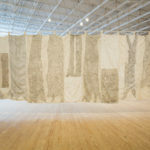 Seen together, these artworks open up cross-generational dialogues around notions of materiality, identity, and performativity. 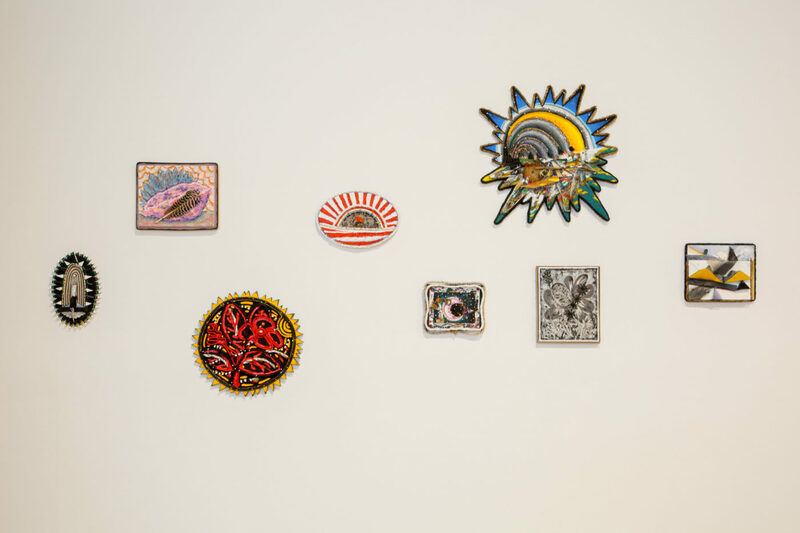 From paintings and unique stitcheries to immersive video environments, ceramic sculpture, and live performances, CAMH is pleased to expand the geographic scope of this exhibition series with a presentation of artworks by San Antonio-based artists. Albert Alvarez, Richard Armendariz, Julia Barbosa Landois, Christie Blizard, Sarah Castillo, Lisette Chavez, Adriana Corral, Ana Fernandez, Audrya Flores, John Hernandez, Diana Kersey, César Martínez, Michael Martínez, Martha Mood, Katie Pell, Chuck Ramirez, José Luis Rivera BarrerA, Daniel Rios Rodriguez, and the duo of Britt Lorraine and Kristy Perez known collectively as Saintlorraine. 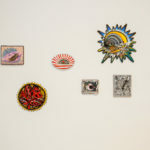 This exhibition is accompanied by a full-color catalogue featuring an introduction by Director Bill Arning and an essay by Curator Dean Daderko. 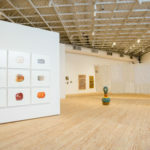 Produced by Houston-based design team A Civil Fox, the catalogue contains reproductions of artworks, a checklist, and biographic information on each artist. 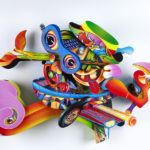 The catalogue is available for purchase in the CAMH Museum Shop. To reserve a copy, contact the Shop at 713.284.8272. The catalogue is made possible by a grant from The Brown Foundation, Inc. 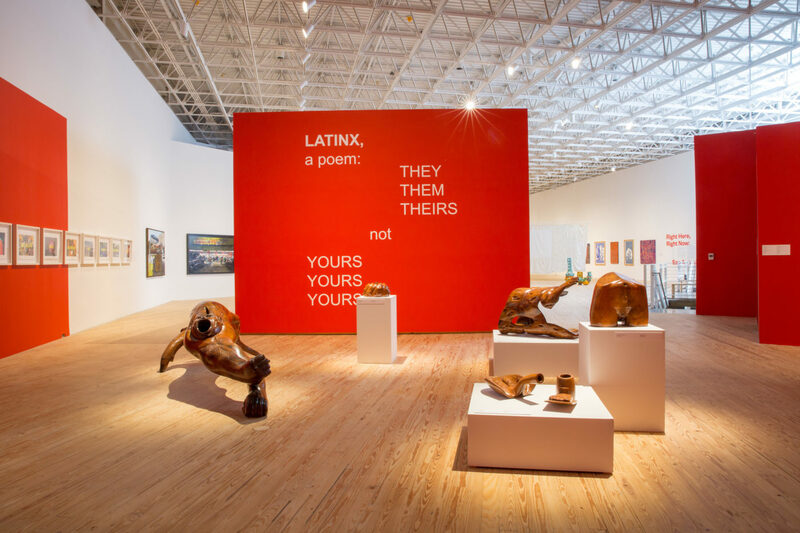 Right Here, Right Now: San Antonio is curated by Curator Dean Daderko with Patricia Restrepo, Assistant Curator and Exhibition Manager.